Computer viruses and malware are becoming far more prevalent than ever before. Unfortunately, your firewall or computer security software may not protect you from every possible threat. Tech to Us is highly trained in virus and malware removal and are always ready to help clean up your computer of unwanted software, restoring it to its original working condition so that you can get on with your life. Viruses come in many forms. Some are merely annoying, and some are of severe malicious intent, meant to rob you of your personal information, passwords, identity, and finances. If your computer has been affected by any of these potential threats, you need to address the issue before it gets out of hand and causes too much damage. FACT: You are 7 times more likely to get infected if you don’t have virus protection. Do not click on links in emails that look odd or suspicious, even if they are coming from ‘friends’. Your friend’s computer could have been compromised! Tech to Us uses a strategic, step-by-step method to rid your computer of any and all possible threats. While having an up-to-date, active and functioning anti-virus service is very important, it can’t protect you from every possible issue. We specialize in restoring your computer to safe conditions, and can do so remotely so that your computer can remain at home. Repairs are conducted through a secure remote connection, during which we access your computer and identify the specific threat, and disable and eliminate it from your system. No matter what platform you are using, no matter what type of device, we guarantee we can achieve fast results and get you back on track in no time. 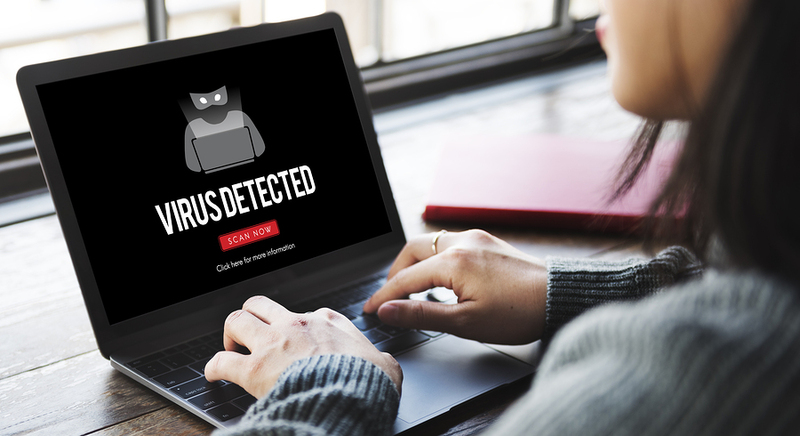 Our virus and malware removal service is included in our monthly and yearly support plans, and could save you untold agony if the unthinkable should ever happen. Have more questions about virus and malware removal support? Interested in signing up? Call us at 800-516-7989 and we’ll be happy to assist you! Need support for ALL of your technology? We’ve got you covered! Tech to Us is a 100% US based provider of remote tech support services. Our skilled, experienced and professional technicians support both home users and small businesses as well. When it comes to remote tech support, we’ve established a new mark for industry excellence.